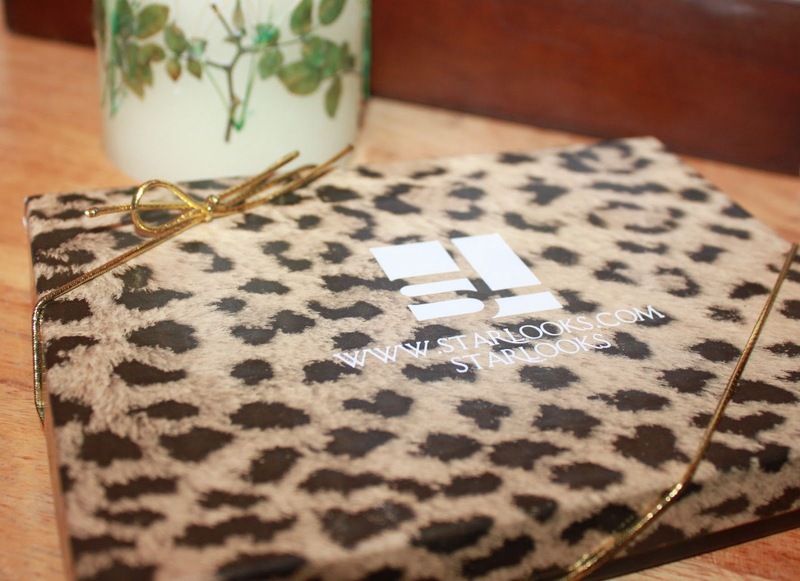 Beautiful Incentives: Starlooks November subscription box 2012! 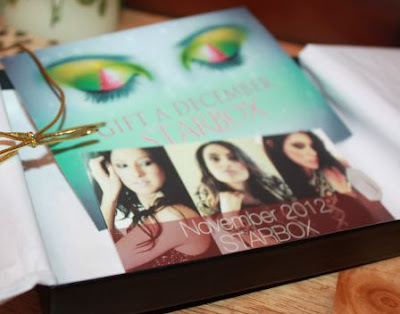 Starlooks November subscription box 2012! I am loving this subscription box more and more. It gets better every time. This is only my second box, but I am more impressed this time around. This box came with 3 products but one of the products is basically like 4 solid products in one and they will last such a long time! I know that Starlooks has been hounded for their shipment mishap this month. A good bunch of subscribers claimed that their boxes came squashed with the contents hardly recognizable. Well, like any good and dedicated company, they squashed that problem harder and have since tightened up their packaging. That is the mark of a great business, one that will jump on a problem right away, and it makes me even happier and prouder to be reviewing for this company. Can I just point out how obsessed I am with their packaging, let alone what is inside. This month's box is a beautiful leopard print, which I will definitely be using to hold other things. I hope they continue with a pattern theme. Something like Damask would be really pretty to see. Whatever they choose, I know they won't disappoint. That said, let's get on to the goodies shall we? Mascara guide applicator- You use this to prevent your mascara on the top and bottom from flaking all over when applying it. A neat tool! You just put the bottom of the applicator underneath your lower lashes and middle underneath your upper lashes and apply the mascara. The very pointy ends are to separate lashes from clumps. 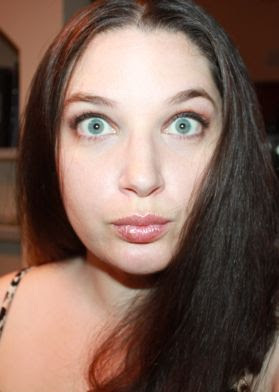 Lipstick in the color Pearl- This is a very pretty color, but I have to be truthful and point out that no matter how much I applied it, it just would not stay on my lips. I think maybe because it is too sheer. I'm not sure, but it looks gorgeous when it stays on. -Void Echo (Bottom right) My absolute favorite of the bunch. 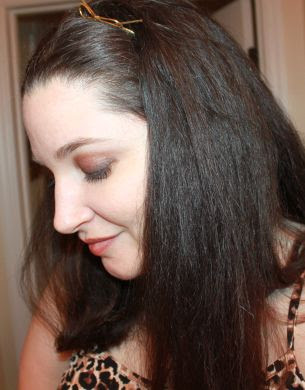 It is a deep dark almost black with a hint of blue and lots of sparkle. It's gorgeous. It reminds me of the night sky, just before it gets completely dark. -Hint of rust (Top left) Just what it says a very bold rust color. These all worked so well for the smokey look I was going for. I started with the Void Echo and blended in the coffee bean from the inner crease to the middle. Then topped it off with a big sweep and blend of the Hint of Rust. It gave it such a pretty sheen and made my eyes pop. I wasn't sure how the rust would look on me, but I ended up loving it. I decided that the bow to the package was too cute not to use so of course I put it on my head and then I had to go with the box's design theme and wear my leopard print top. I thoroughly enjoyed this box and cannot wait to be wowed by the December, which is reportedly going to have a $99 palette with 15 shades! Can't wait to review it! Love that box!!!! I enjoy seeing everyones review for Starbox. Those colors look great on you! Nice little box! I'm so used to seeing you with more purple-glittery eyeshadow, the browns look good too. I love the browns. I'm even getting into gold and I never liked it much before. I always considered it gaudy lol but with an accent here and there it looks nice. Love this look and these products! Browns are more my colors. Love your pics! OMG! I love those colors. Especially the lips. I ended up with the light kit(instead of the medium I asked for), but I love your kit more. I love these colors on you, what an awesome review! Your eyes look amazing!